Too many Americans pay for college with money that could have gone to finance their retirement and to enjoy more of life’s luxuries. When you use the Bank On Yourself concept to finance a college education, you won’t wake up in the middle of the night in a cold sweat worrying if the money will be there when you need it. The most common methods used by families saving for college for their youngsters include traditional investment and savings accounts, UGMAs (Uniform Gift to Minors Accounts), UTMAs (Uniform Transfer to Minors Act), and 529 college savings plans. Have you looked at the restrictions on those 529 college savings plans? If your child decides not to go to college, your money may be locked up until you’re nearly 60 years old… unless you decide to go back to college and use it yourself. You’ll pay hefty penalties for using it for anything besides college classes. Using Bank On Yourself as a 529 alternative, your equity in your policy is available to you whenever you need it (typically within a few days), and for whatever purpose YOU want. The UGMA and UTMA plans have the opposite problem. With these alternatives to the 529 plan, the money now belongs to the child. You have little control over what happens to it. And using student loans saddles the graduate with debt that averages $39,400 according to statistics of the class of 2017. That’s a tough way to start out in life. Key Concept: Using the Bank On Yourself concept to finance a college education gives you flexibility and many advantages you don’t get with traditional methods of saving for college. You don’t have the risk of loss due to market fluctuations, and you could recapture the money you pay and use it to finance a comfortable retirement. The Bank On Yourself method relies on a specially designed, little-known type of dividend-paying whole life insurance policy with specific riders added to it that grow your cash value to up to 40 times faster than a traditionally designed policy. These policies have increased in value by a guaranteed and predictable amount every single year for more than 160 years. In contrast with market-based 529 and other plans, Bank On Yourself can provide you with absolute certainty how much your plan will be worth on the day your child starts college. You’ll never lose sleep wondering what the stock market will do next. The bottom line is that Bank On Yourself is about knowing the money will be there when you need it! 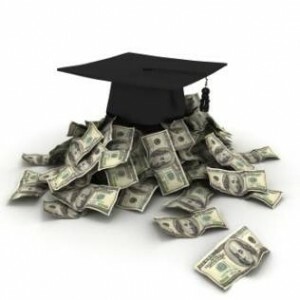 Wondering how the Bank On Yourself method can help you reach your college funding goals…without the stomach-churning ups and downs of traditional college savings plans? Request a free, no-obligation Analysis now to find out. When you request your Analysis, you’ll get a referral to one of only 200 financial advisors in the country who have met the rigorous requirements needed to be a Bank On Yourself Authorized Advisor. The Authorized Advisors are masters at helping you restructure your finances to free up seed money to fund your plan. Because your funds are sitting in the cash value account of a whole life insurance policy, they do not count against you in the calculations for financial aid. These funds are not reported as assets on the Free Application for Federal Student Aid (FAFSA). This means that your chances for scholarships and financial aid are greatly increased. Because of the unique features of the Bank On Yourself concept, you may even be able to start funding a college account when your children are in their early teens and still have enough to help out. In addition, the money you take from your 529 alternative plan will be replaced as you pay yourself back, and you’ll be able to use those dollars for retirement, vacations or other financial needs and wants. 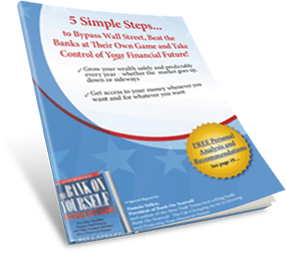 Free Special Report reveals the details of what Bank On Yourself is and how it can help you reach your short-term and long-term goals and dreams – including your college funding needs – in the shortest time possible. Grab your free copy now. Kelsie is sixteen now. Two years out, when she’s entering college, there’s going to be about $35,000 or so in the Bank On Yourself policy. Basically I’ll be paying myself back instead of doing it through a conventional bank. So even though Tom started late, his Bank On Yourself policy will still make college possible for his daughter. However, no two plans are alike – yours would be custom tailored to your unique situation. To find out how much money you could have for your child’s education – guaranteed – request your free College Savings Analysis now. Bill and Meloney Liebler of North Carolina discovered the pitfalls of 529 plans and a much better alternative. Read this fascinating interview with Bill, excerpted from the best-selling book, Bank On Yourself. We started policies designed to maximize the power of the Bank On Yourself concept for each, when Jake was six and Halle was three. After you fill out your free Analysis Request Form, a Bank On Yourself Authorized Advisor will meet with you to fully explore your best options for college savings.